A friend of mine has just finished 'doing up' and refurbishing this beautiful narrowboat. It's light and airy inside with a fixed double plus a dinette. 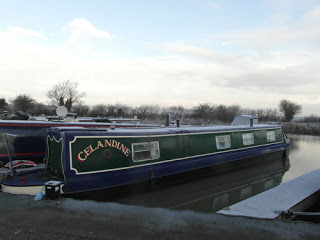 Full details and pictures are here: Beautiful narrowboat for sale. There is also a full list of the work recently completed. She is currently moored near Milton Keynes. If you're looking for a live-aboard boat or a leisure boat for holidays and weekends this one is lovely. Even if you're not, have a look at the photos, for some gorgeous inspiration of how light and airy a narrowboat can seem inside! If you have any questions about living aboard grab yourself my free eBook Living on a Boat.